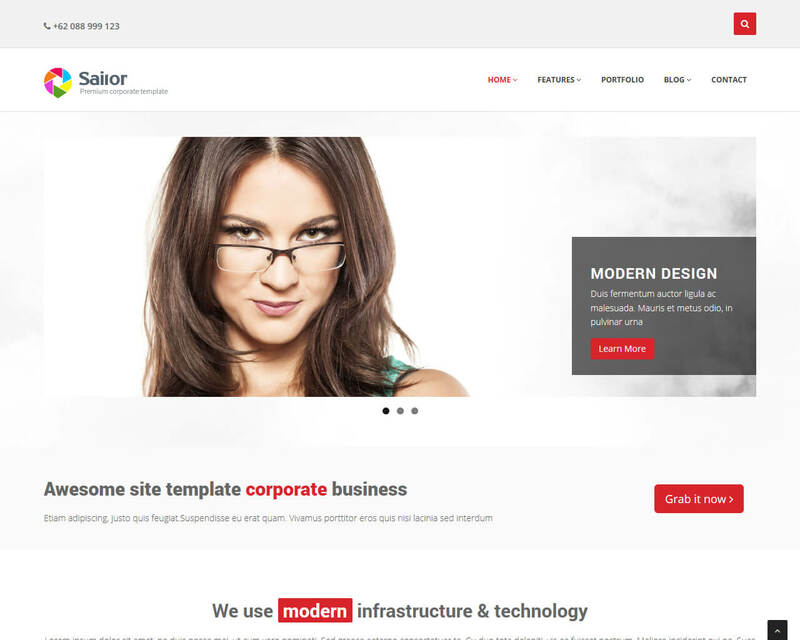 The Sailor is one of the Bootstrap templates designed for corporate business. It has several exciting features where you can showcase your products, services, and portfolio. This template is designed using the latest Bootstrap 3.2 and with a boxed and wide layout, ten pattern backgrounds, 10-predefined template colors, WOW animation effects, and a lot more. Customizing the design is easy. It also has transition animation and pre-integrated color palettes. Sailor has responsive layout it does not matter what platform you are using. This is the recommended template to introduce your company, your products and services, and portfolio. It is the first and only template designed for yacht charter booking businesses and agencies. The template has a clean, contemporary, and sleek full-screen HTML5 Bootstrap template with 1170px grid system and an amazing creative layout that stands out. It comes with animated thumbnails, CSS transitions with jQuery fallback, and a lot more.